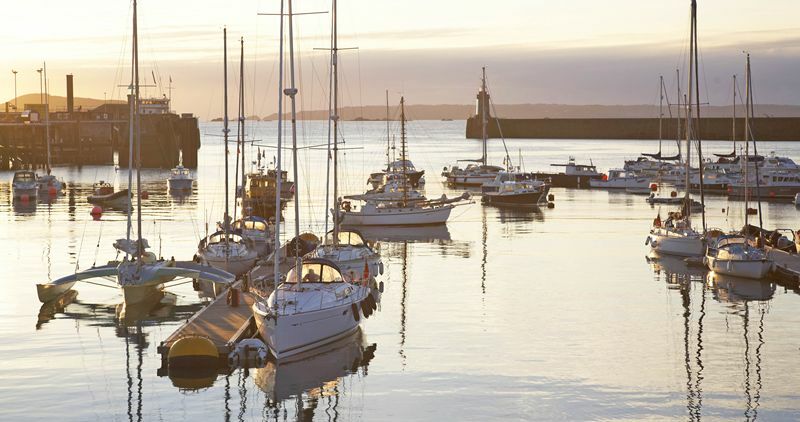 Our berth-holders have superb cruising choices easily to hand – for lazy day trips, weekends away, passages further west or across the Channel. 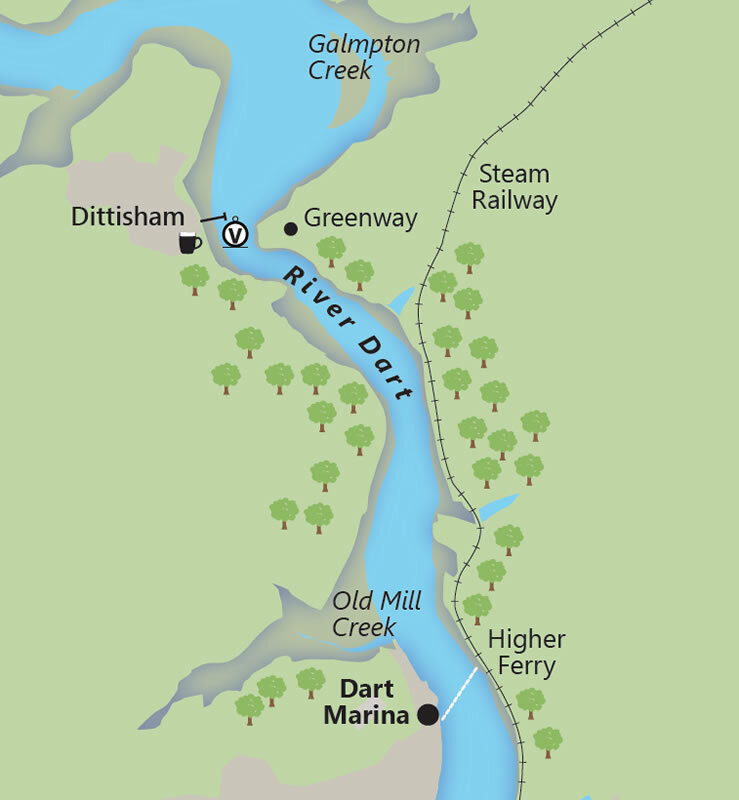 The River Dart is navigable at any tide to pretty Dittisham village and on the flood for eight miles to Totnes quay. 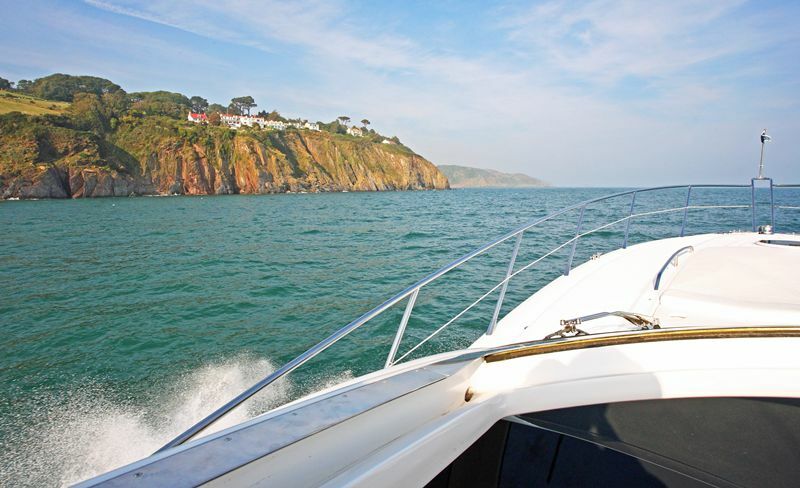 The crescent sweep of Start Bay has one of the finest coastlines in Europe, with fabulous beaches, rocky coves and a spectacular corniche reminiscent of the old Riviera. 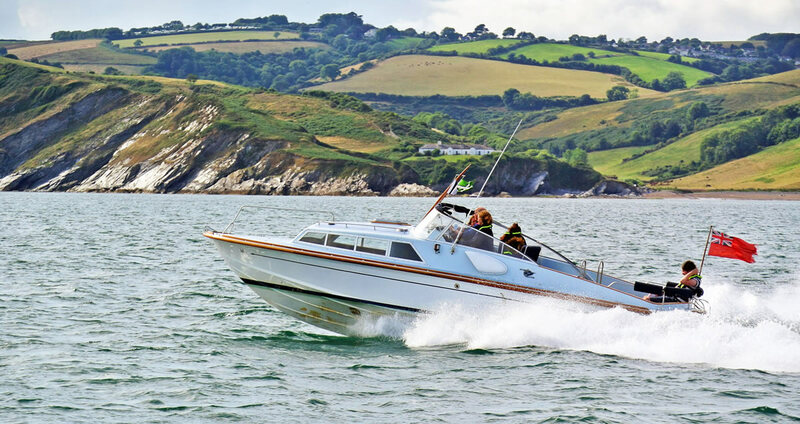 For weekend jaunts Salcombe is just round Start Point and for longer coastal cruises you have easy hops right down to Falmouth and the Helford River. 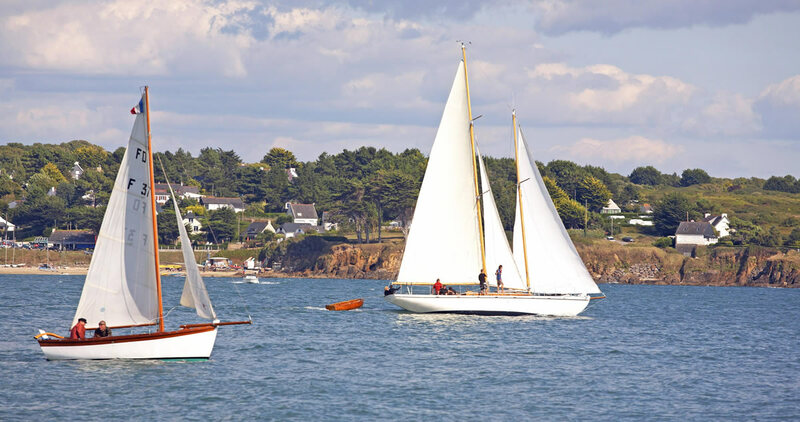 Guernsey is only 70 miles from Dartmouth, perfect for starting a summer holiday exploring the Channel Islands and Brittany. 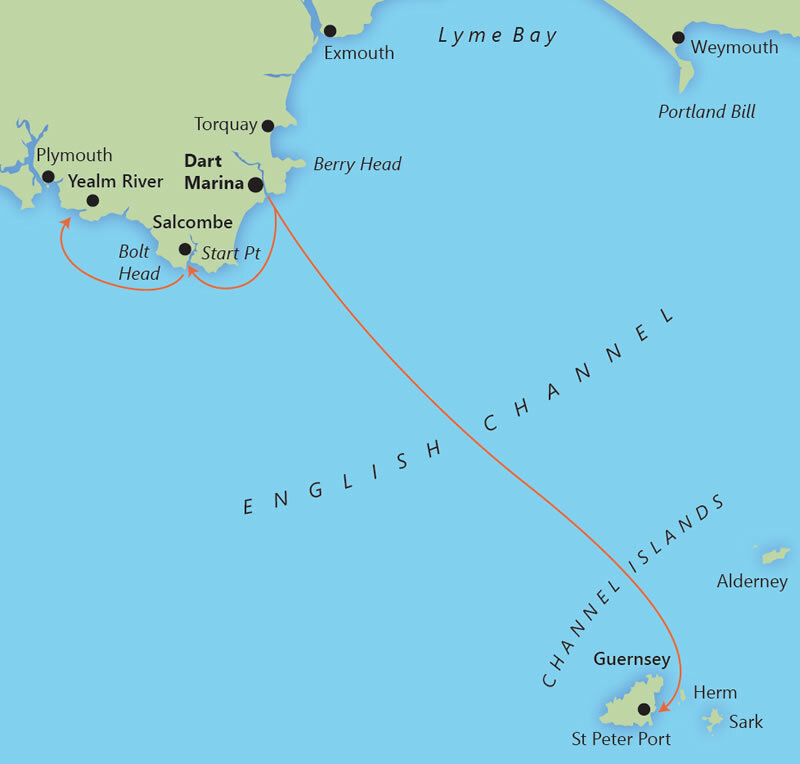 A direct passage to North Brittany leads about 90 miles due south of Dartmouth. 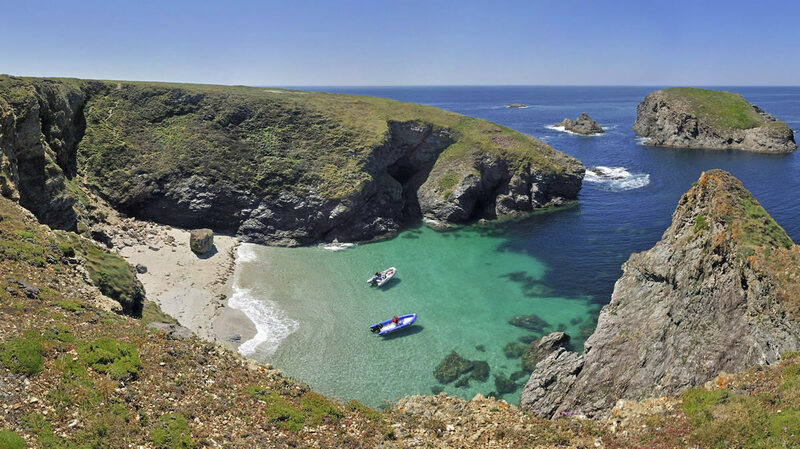 The Dart is also one of the best jumping off points for reaching the South Brittany coats by way of Chenal du Four. 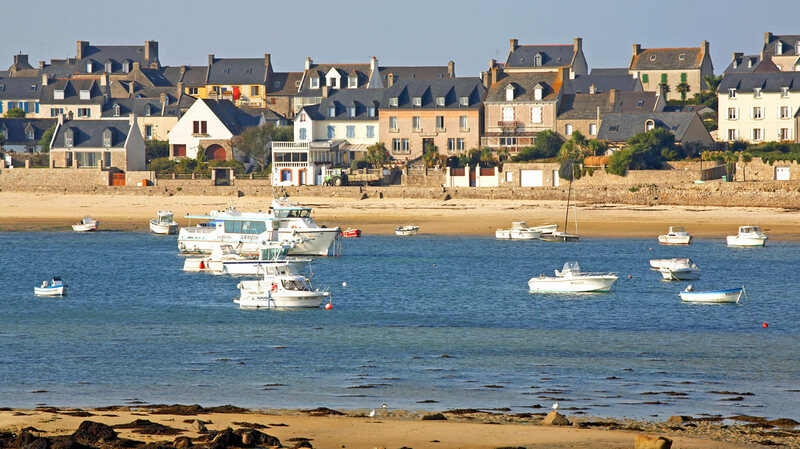 L’Abervrac’h is not quite 110 miles from Start Point and you then have short hops down to Camaret, Bénodet and the tempting havens around the Bay of Biscay. A landing pontoon leads to the Ferry Boat Inn and the waterside garden of Anchorstone café. Above half-flood you can cruise another six miles inland to the old river port of Totnes. The Dart seems untouched by time, winding through an enchanting valley past sleepy creeks, ancient oaks and farms where cattle graze. You glimpse Stoke Gabriel village and pass some cottages at Duncannon before the channel snakes away into secret country. 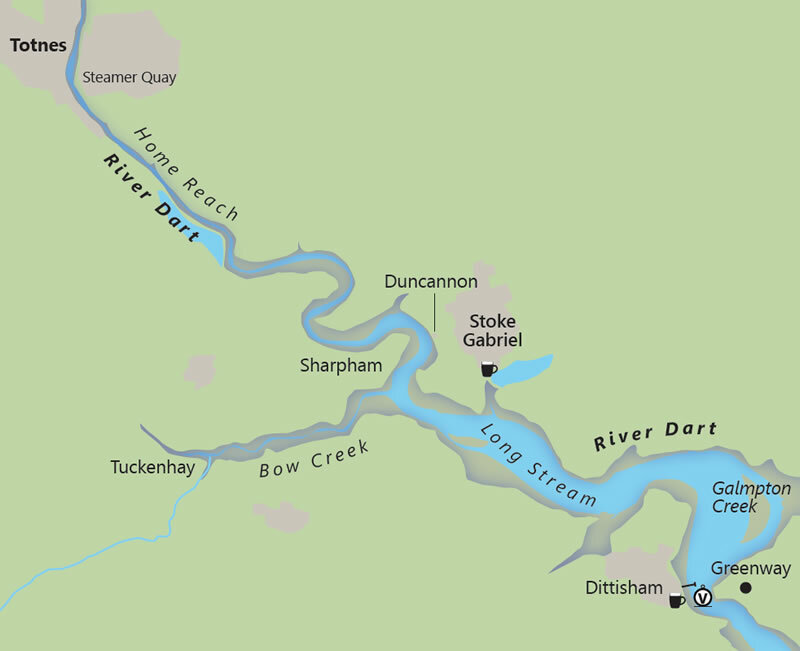 Just below Totnes you can lie alongside an east bank quay, but it’s worth continuing up to the Steam Packet Inn to turn round. 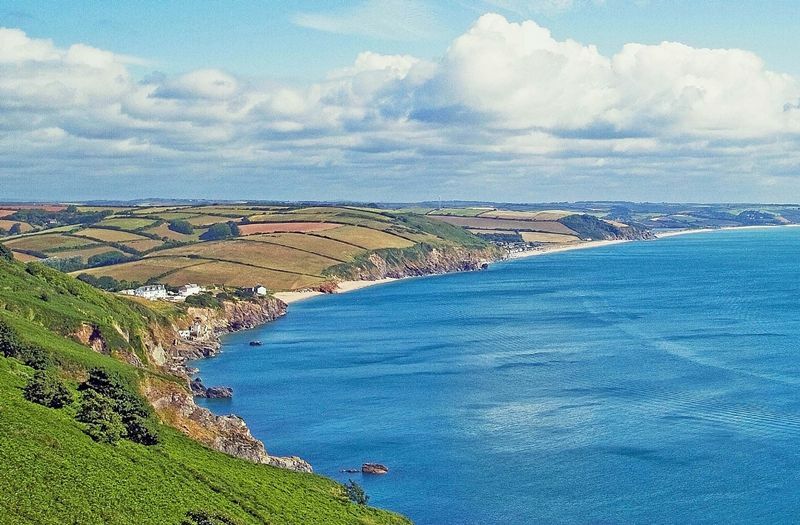 Sheltered from the west, Start Bay has an enchanting backdrop of golden beaches, silvery cliffs, Devon villages and neat farms. 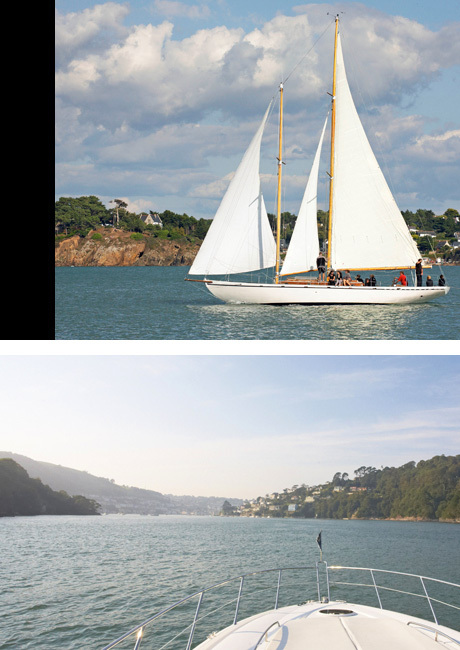 Its beautiful anchorages are a short run from our yacht harbour, soothing places to while away summer days. Newfoundland Cove is a handy anchorage just outside the harbour. Further east around the craggy Mew Stone, Scabbacombe Bay has piercingly clear water for snorkelling and is only accessible by boat or keen walkers. Behind the beach, a grassy valley climbs between rolling hills. 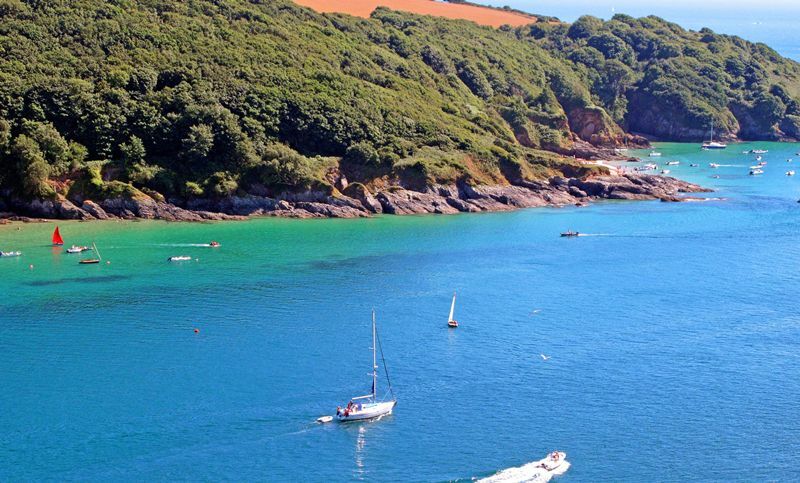 Blackpool Sands is an award-winning beach two miles west of Dartmouth, with lush hillsides of fir trees, rambling shrubs and the meadows of a family estate. 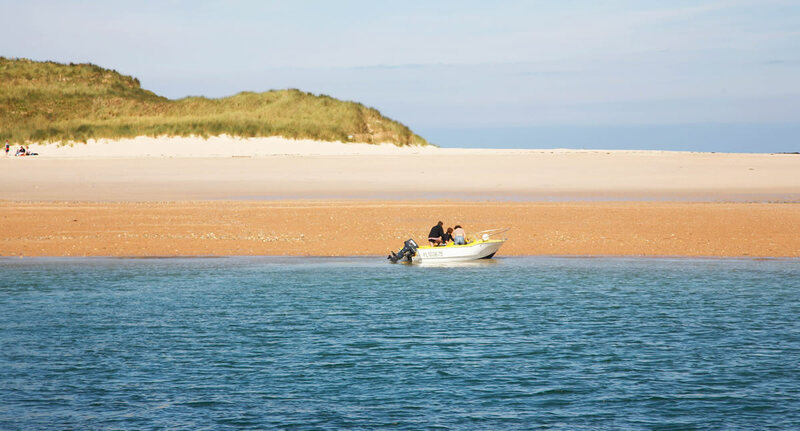 Anchor off the north-east end outside the swimming buoys and take your dinghy ashore to Venus beach café. 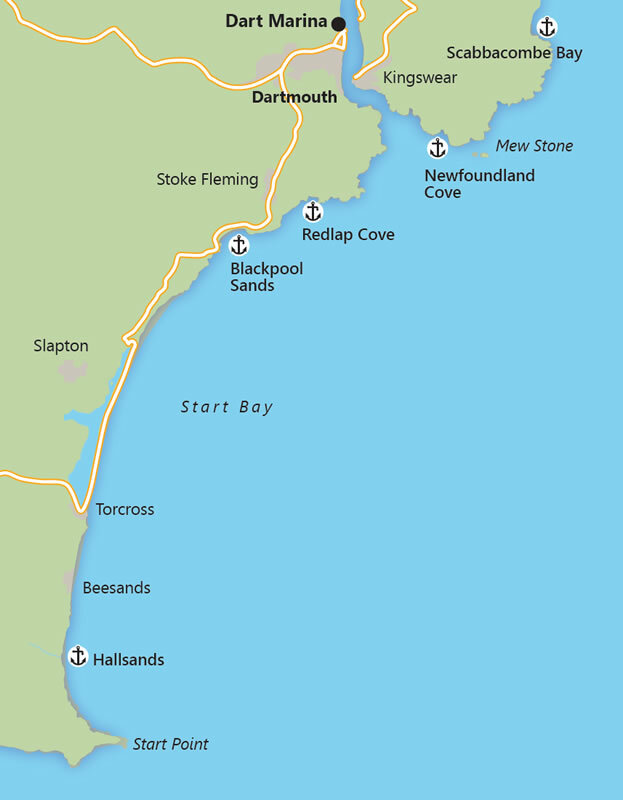 Redlap Cove is a 'locals' hideaway between Dartmouth and Blackpool. 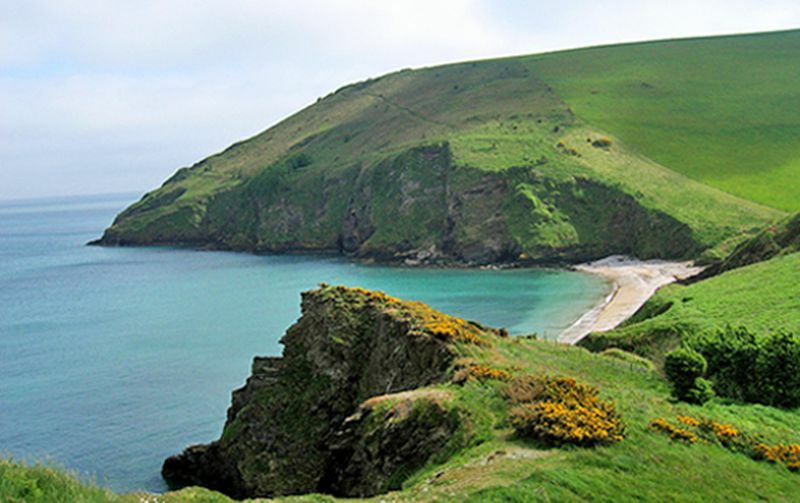 Hallsands is in the southern crook of Start Bay, an amazing spot with the cliffside ruins of an old washed away village. 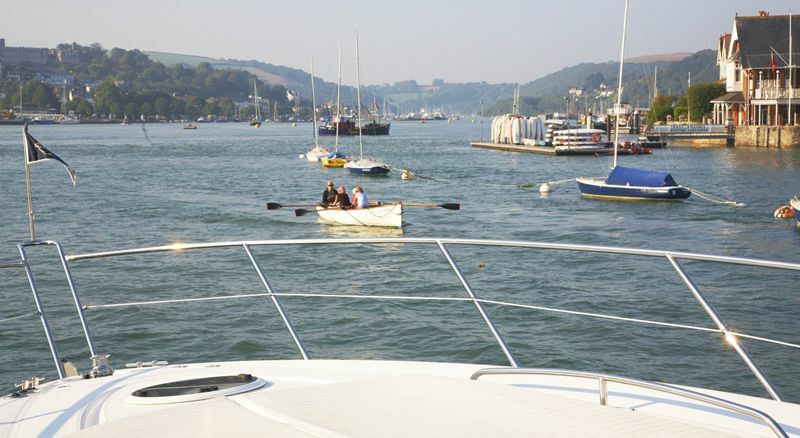 The 15-mile passage round to Salcombe is easy if you catch slackish water off Start Point. 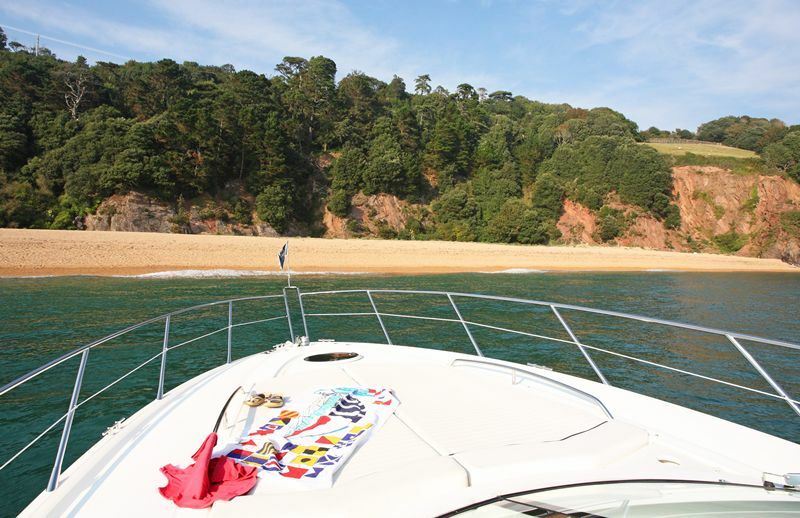 As you come in past Bolt Head, South Sand Bay opens up to port and glorious Sunny Cove to starboard. 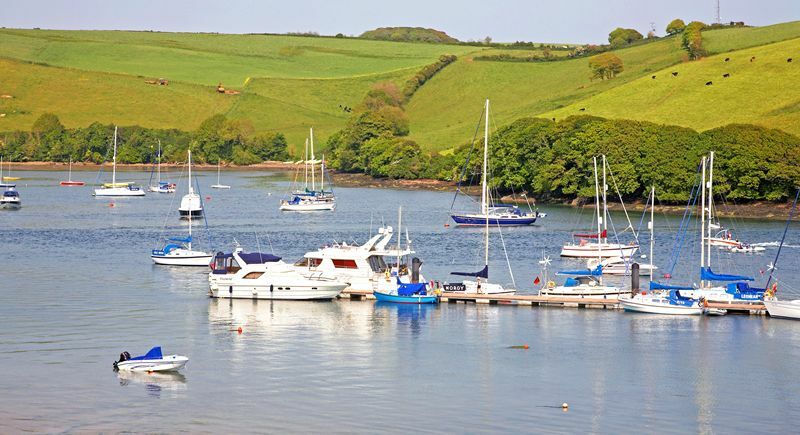 Salcombe has no marina but plenty of visitors’ moorings. 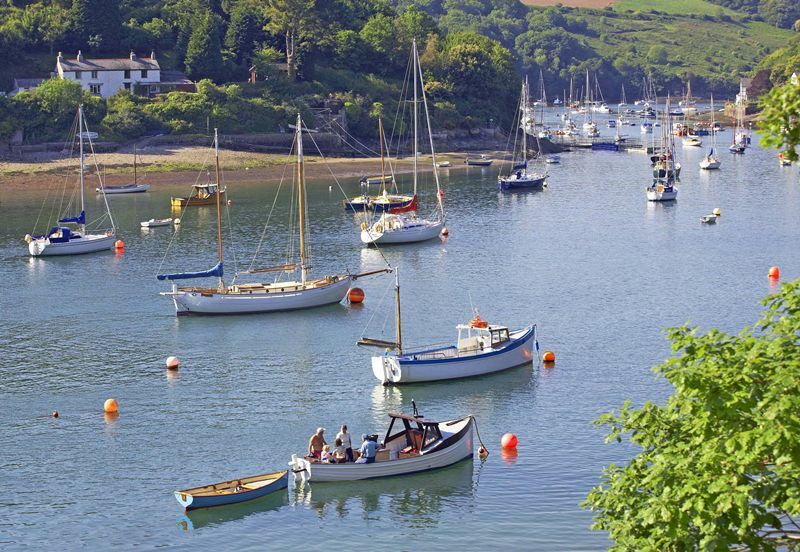 About 15 miles beyond Salcombe, this exquisite river is a delightful weekend haunt. The entrance is hidden from seaward, but behind Yealm Head a shallow mouth and a couple of bends lead into Yealm Pool, which has a peaceful pontoon beneath sheltering woods. 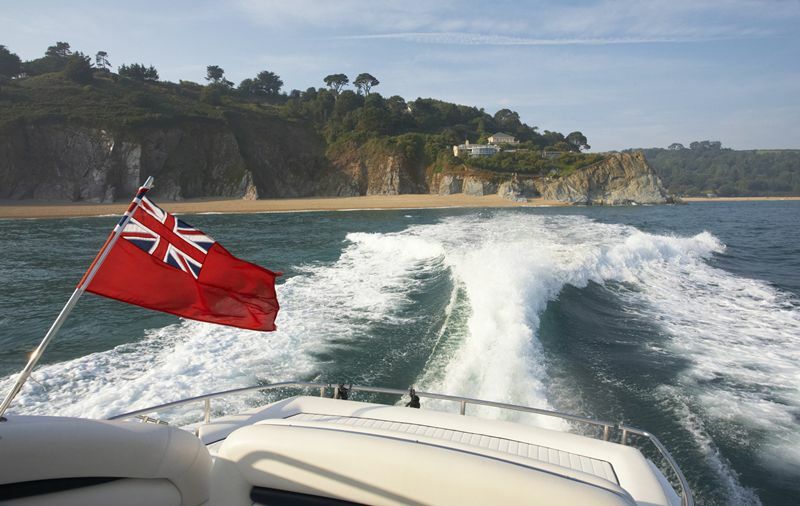 In fair weather, Guernsey is just a day sail for yachts or a morning run for fast motor boats. St Peter Port has an almost colonial atmosphere, its fine old town climbing above the harbour. Out past the pierheads you see tiny Herm island and the profile of Sark. 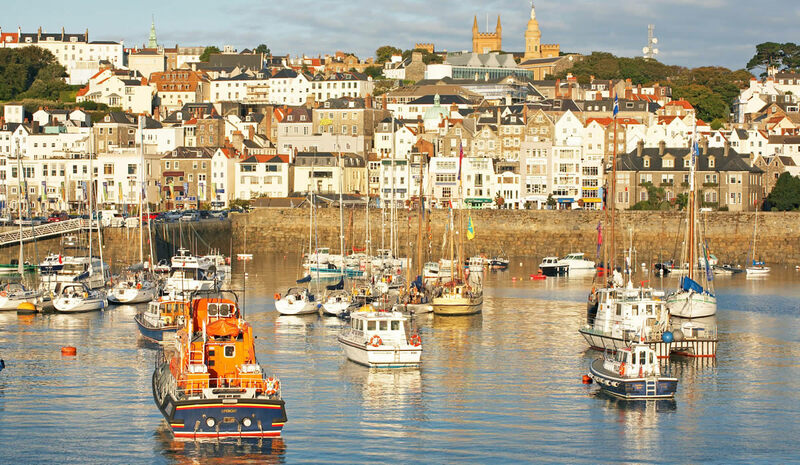 A relaxed cruise west is a favourite with our berth-holders and Dart Marina is an ideal base for shopping and getting ready. Then you have a string of easy hops all the way down to the Fal estuary and Helford River. 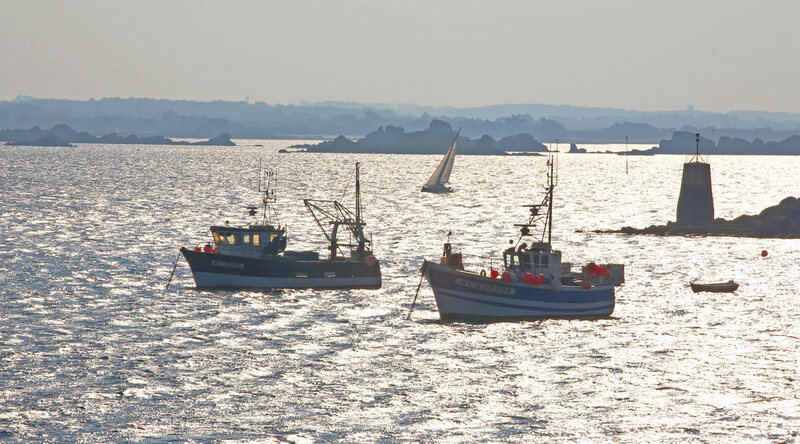 The 70 mile passage to Guernsey is the simplest way into the Channel Islands area. 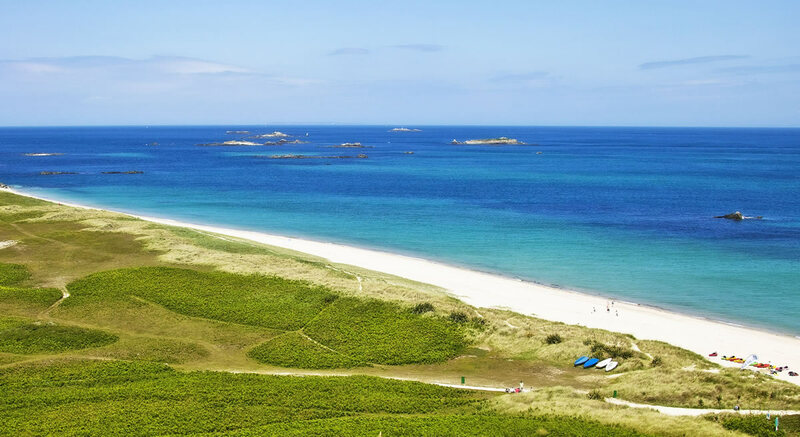 From St Peter Port you can visit Herm’s Shell Bay, a paradise lagoon over white sand. 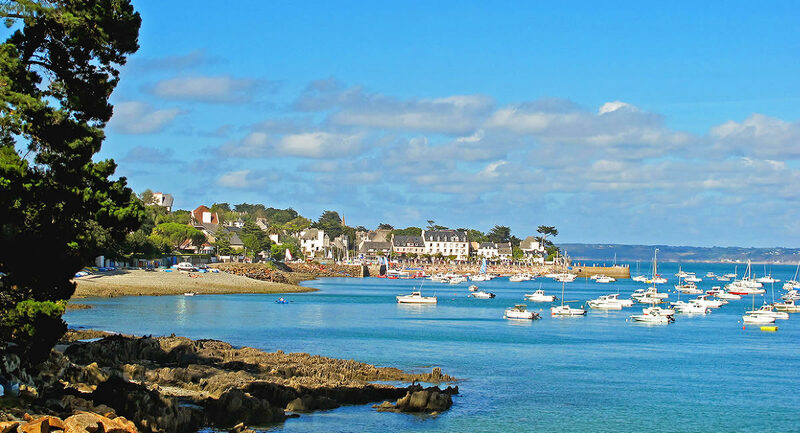 The magical Écrehou archipelago lies just off Jersey's east coast. 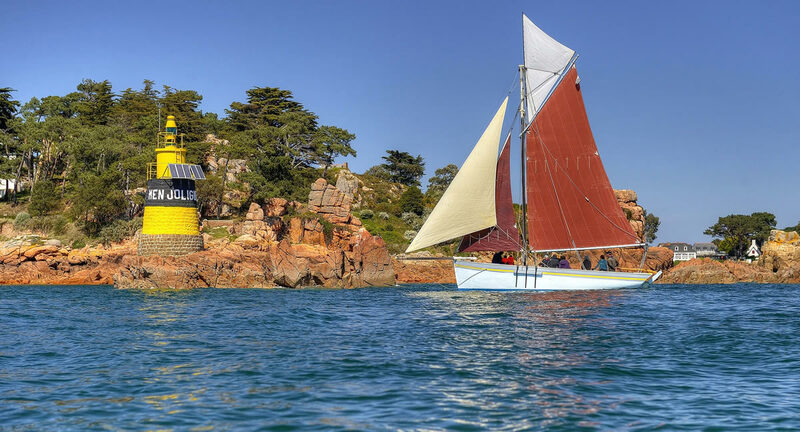 Only 40 miles from Guernsey, the Lézardrieux estuary has a maze of sheltered channels around the pink granite island of Bréhat. From Jersey it's 30 miles to St Malo's fine walled town and the River Rance gliding inland past elegant châteaux.